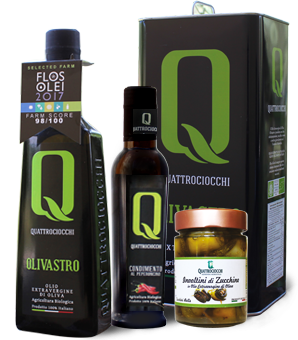 The mill Americo Quattrociocchi, is located among olive trees on a beautiful hillside. Reference point of infinite riches historical, cultural and artistic. It is since 1888 that the Quattrociocchi family is dedicated to the cultivation of olive trees, handing over the years this passion and keeping in time and in full respect of tradition.